Mardi Gras with a Totally Intergalactic Krewe, It’s What We Do! The Whitneys LOVE Mardi Gras! Everything about it…the music, the food, the sights, the parades, the people. The Mardi Gras parades kick off a couple of weeks before Fat Tuesday. So if you are ever near New Orleans during the season, stop in and catch a parade or two. Trust me, you won’t regret it! This post highlights some of the awesomeness that we got to see last weekend. 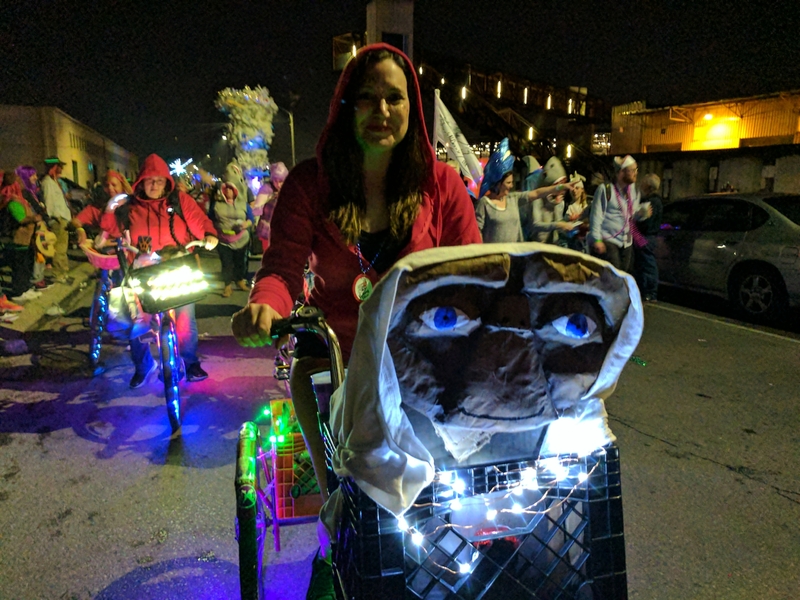 This parade is called The Intergalactic Krewe of Chewbaccus (IKOC). It is a non-traditional parade as it does not have the floats that are pulled by tractors. Generally, any “floats” AKA contraptions are pushed by hand or are bicycle powered. There are a few electric powered ones i.e golf carts. IKOC prides itself on including all of the socially awkward freaks, geeks and nerds. See for yourself…. And there is this guy who was by far the highlight of the night! This is just a taste of what you will see during Mardi Gras in New Orleans, Louisiana. 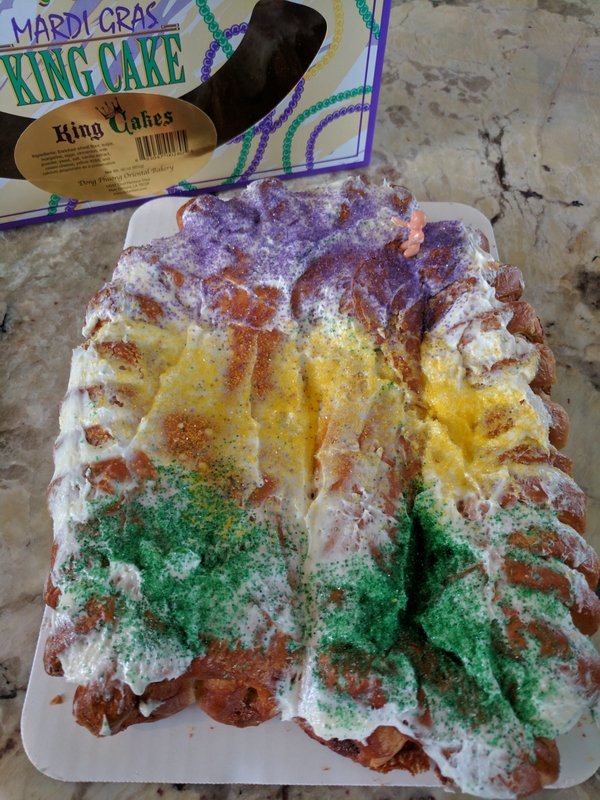 Speaking of taste, King Cake is my (Amanda) other favorite part of the season. I sometimes like to refer to Mardi Gras as King Cake season. NOM NOM, get in my belly! My favorite cake is from a Vietnamese Bakery in New Orleans East called Dong Phuongs. I love the cream cheese filled one the best. Their pastry and icing is so fluffy and yummy. I’m salivating just thinking about it! Previous Previous post: Drive-In, if not now, when?